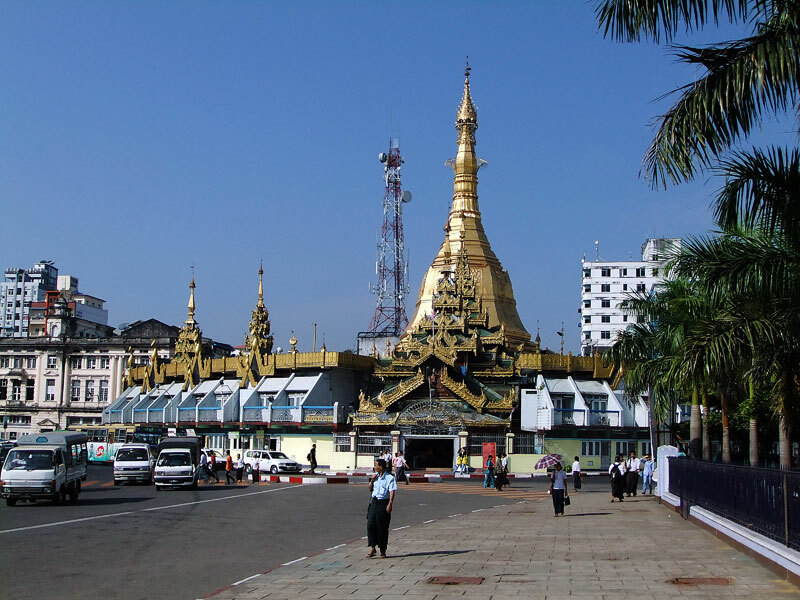 Sule Pagoda is situated in the middle of the best looking traffic circles in the world. 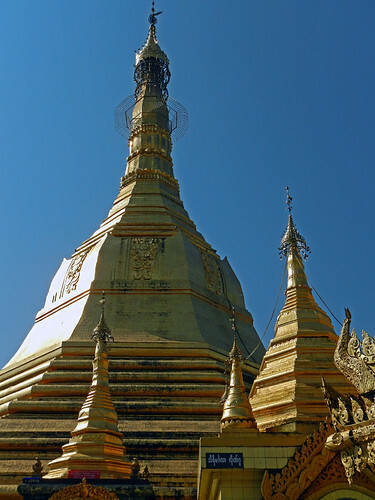 Little girl rings a golden bell at the entrance to the pagoda. 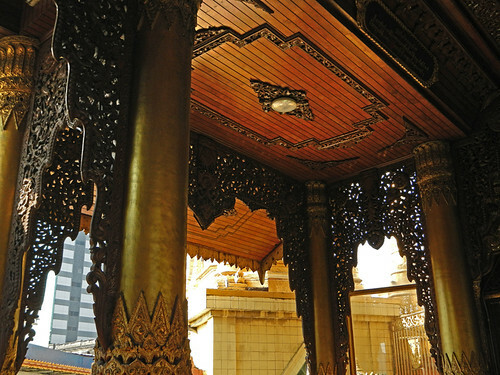 Sheets of gold leaf and certificates for sale in the Pagoda. 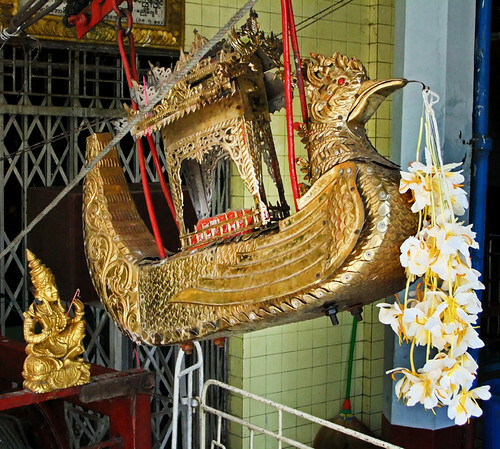 A golden rooster with a voracious appetite for gold leaf and incense is hand-cranked to send it up to an altar where the gold is collected to further gild the pagoda. This mother and daughter are waiting their turn to put their gold leaf into the rooster. Every plaster surface glimmers with gold. A golden duck atop a pillar. 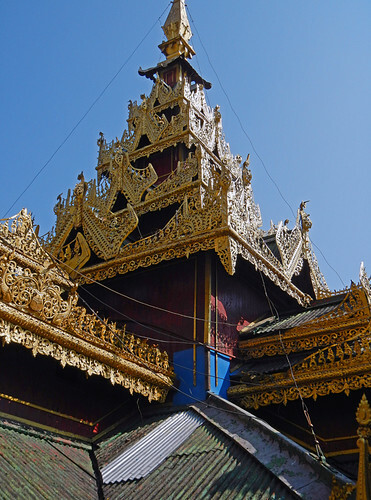 The carved wooden surfaces are also gilded in gold. 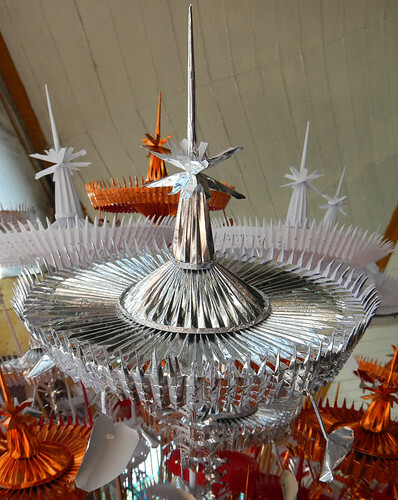 Paper offerings for sale in the Sule Pagoda gift shop come in white, silver and gold colour. More on Ailsa’s Travel Theme: Gold.